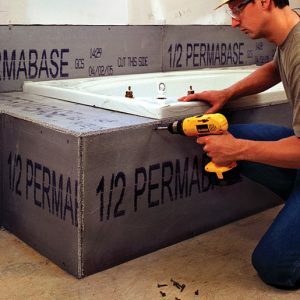 PermaBase® brand Cement Board is a rigid substrate made of Portland cement, aggregate and glass mesh. Provides an exceptionally hard, durable surface that is able to withstand prolonged exposure to moisture. 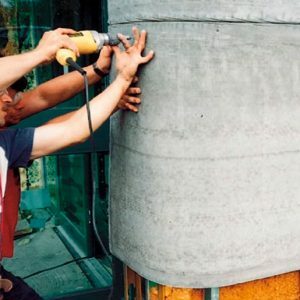 PermaBase offers a competitive advantage over similar products on the market with its patented EdgeTech® technology. The tapered, reinforced edge design allows for closer nail or screw application to the edge. 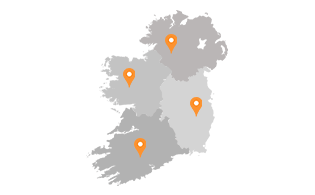 Double-wrapped edge with EdgeTech technology allows for closer fastener application of nails or screws at the edge without crumbling or spin out. IRC and IBC 2006 Compliant – Meets ASTM C 1325. PermaBase resists the growth of mold as well as mildew achieving a panel score of 10. It is the highest score possible, per ASTM D 3273. Homogeneous core has fewer voids and provides a very easy and clean score and snap. 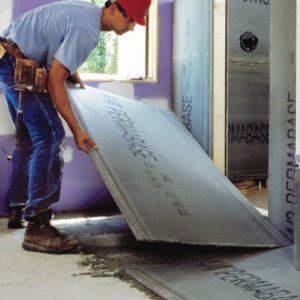 With PermaBase’s unique core composition, little or no additional labor is needed to clean the edge after a cut.